It’s supposed to be the “no-frills” membership division of Wal-Mart. But, increasingly, Sam’s Club is rolling out technology innovations that recall some of the decidedly deluxe retail experiences offered by the likes of Apple or Amazon Go for the warehouse club’s mobile-equipped customers. Closely resembling Apple’s in-store checkout facility – where items being purchased are scanned into handheld devices carried by roaming in-store associates – Sam’s Club’s new Scan and Go service could even be said to go one better. It works pretty much as it sounds. 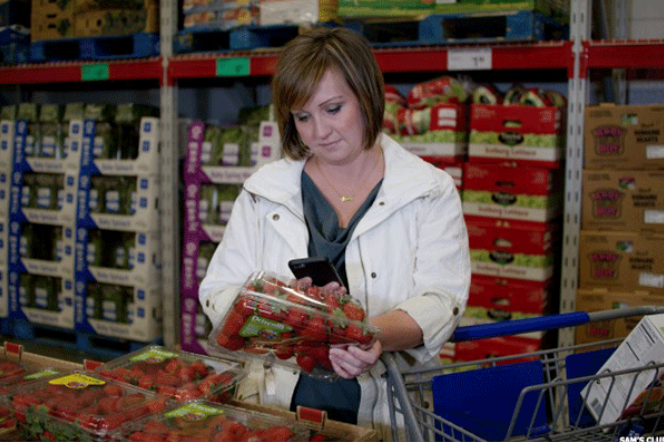 Shoppers at a Sam’s Club simply open up their Sam’s Club app and scan each item’s barcode as they stack up their shopping carts. The app keeps a running total of everything in the cart, and then, when the shopper is ready to checkout and pay, they can do so right there inside the app. As they walk out of the Club, they simply show their digital receipt to a “greeter” at the exit. The receipt is scanned, and the customer goes on their merry way. No need to wait in line. No need, if you don’t want to, to talk to a sales assistant. Just simply scan and go – and the app even doubles as a budgeting tool, helping users keep track of their spending while they shop. After more than a year of testing in select locations, the service has now been rolled out to all 645 of the retailer’s US stores, and is now being trialed in a number of Walmart stores as well. But it’s not just initiatives that turn in-store customers into cashiers that Sam’s Club is experimenting with. The retailer is boosting online sales with clever in-store ecommerce innovations, too. While president and CEO of samsclub.com Jamie Iannone attributes much of the retailer’s impressive 27% ecommerce growth last year to a website revamping, he says that the introduction of in-store “endless aisle” kiosks are generating greater digital revenues as well. Online products can be browsed via these in-store kiosks, added to the member’s online cart, and will then be shipped to the shopper’s home. What’s more, Iannone explains that store associates are trained to become “problem solvers” for customers, and that’s helping to boost ecommerce sales as well. “If a member can’t find a product they want in the club, our associates are instructed to try and help them find it at samsclub.com,” he said. Recently, a complete overhaul of the retailer’s in-store pick-up facility has resulted in even more gains for the company. Club Pick-Up, as the service is known, has in fact been available for over a decade, but recent enhancements have brought new levels of convenience for Sam’s Club’s mobile customers. Club Pick-Up allows customers to build and save shopping lists online and place the order with Sam’s Club. Then, when they’re ready to head to a store and pick up the goods, they can use the Sam’s Club app to alert the retailer that they’re on their way. At certain stores, a parking space will even be saved for them, allowing for quick drive-through collections. Even where this part of the service isn’t available, mobile check-ins on entry keep the service fast and convenient. “Our members are telling us it’s one of their favorite apps,” Sam’s Club Chief Executive Officer Roz Brewer told Fortune. 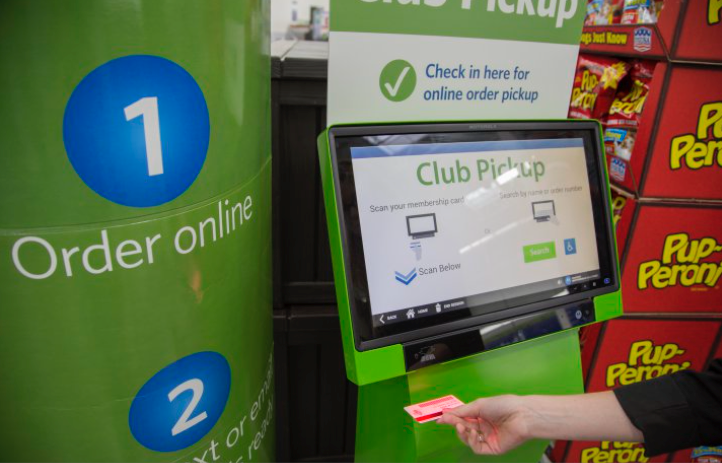 From Scan and Go to endless aisles to the revamped Club Pick-Up, Sam’s Club is working hard at the customer experience across all touchpoints. And perhaps it needed to. A recent survey from Fayetteville-based Field Agent, which collected the opinions of 500 warehouse club members – covering rivals Costco and BJ’s, as well as Sam’s Club itself – revealed that 51% disliked the crowds at these stores, and 39% disliked the lines and checkout processes. Both Scan and Go and the overhauled Club Pick-Up service begin to solve both of these problems, and so we’ll have to see whether these latest innovations will start to woo more customers away from Sam’s Club’s rivals, and indeed what Costco’s and BJ’s responses will be. In the meantime, however, Sam’s Club’s ecommerce is growing – with daily deals going live every day, the website now gets 16 million unique visits every month, and customers now have over 51,000 items to choose from. As Sam’s Club embraces technology, it’s keeping itself relevant to members, many of whom are digitally-savvy business owners who relish on-the-go convenience, as do those with large families to feed – another group that makes up a large proportion of Sam’s Club’s core customer base. Indeed, retail analysts are applauding Sam’s Club’s technical innovations. The last word goes to Carol Spieckerman, CEO of Spieckerman Retail, who says that Sam’s Club is rising to meet the customer convenience challenge of modern retail, and, as it continues to improve its online product offerings, is succeeding in delivering more value to its members.